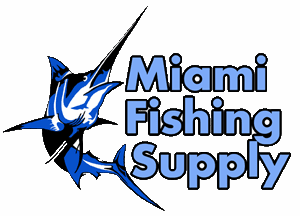 Sea Striker Deluxe Shark Rig Miami Fishing Supply, complete selection of offshore fishing tackle, marine electronics and boat supplies. Made for the serious shark fisherman. It is made with 9' of 480 lb. test stainless steel cable. Attached to the cable is 4' of solid stainless steel wire. The solid wire will slip between the shark's teeth and he is unable to bite this part of the leader. 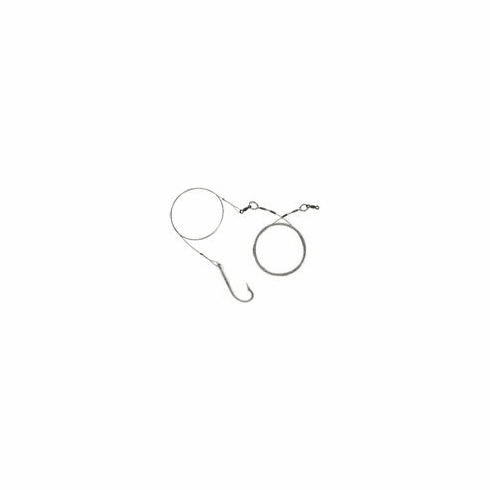 This deluxe rig has a 3407SS-12/0 Mustad hook. All ends have double Nicopress sleeves. Complete with instructions and shark information.